Johnny Otto’s newest project “The Sun King” is a dark, quirky short film (20 Min.) about a young woman named Chloe (Thessa M’Loe) who begins following a mysterious crime fighter (Pedro Shanahan), who she claims has special powers, which are the result of taking some sort of drug. After encountering a young man named Ben, (Tim Perkins) Chloe begins to confess everything she has seen to him. But will Ben believe her strange and unlikely story or simple think that she is going mad? Also featuring Brian Foyster as the 'Strange Man' who brings the special drugs. Filmed on the Panasonic GH4 with Lens Turbo adapter and Nikon Ai 50mm lens and 24mm lens. Edited using Adobe Premiere and After Effects. Sound Editing using Adobe Audition and Ableton Live. "Calavera... Spanish; skull. The Aztecs wore them to remind them of their mortality. 'Death is just around the corner,' that sort of thing." ~CHLOE (Thessa Mloe) to her newfound "friend" Ben (Tim Perkins), on why she wears a skull mask when spying on the supernatural activities of THE SUN KING (Pedro Shanahan). Writer/Director Johnny Otto, whose "SLIMDUNCE" short film collection was featured in an October 2009 article in MovieMaker Magazine, gives us his latest short piece, THE SUN KING, which features Brian Foyster (Victor from the HULU series FARMED & DANGEROUS) and Thessa Mloe (ATLAS SHRUGGED: PART I). Shot in black & white on a Panasonic GH4, you're presented a 20-minute tale draped in mystique with the aesthetic of a popular CW superhero show through the bluesy noir eyes of a mid-1980's Jim Jarmusch. Now, that's not to say the short doesn't have its share of setbacks. The budget is indeed low (an estimated $6,500), and a healthy portion of the acting by the film's secondary characters plays rather stiff, but you are introduced to a plethora of personalities with veiled intentions, not completely knowing who is the safest to be around. What I find intriguing is that Chloe (Mloe) might actually be more harmful as an unintentional foe than the Sun King (Shanahan) is actually helpful as a reluctant hero. Mloe lends a classic appeal to her character; imagine if Lois Lane was infused with the longing soulfulness of a neo-vintage Clara Bow. THE SUN KING solely as a short film might leave many wanting, since it doesn't allow enough time to get viewers emotionally invested in anyone other than Chloe... HOWEVER... as a Sci-Fi Noir webseries (especially with Otto's penchant for eclectic soundtrack compilation), THE SUN KING may TRULY possess longevity in V.O.D. streaming. Also, I think there's more of a twist to the ending than one might imagine regarding Chloe. Perhaps a follow-up by Mr. Otto can delve into that; I'm game. About Steve J. Palmer: Steve is originally from Daytona Beach, FL, and has been a fan of movies his entire life. 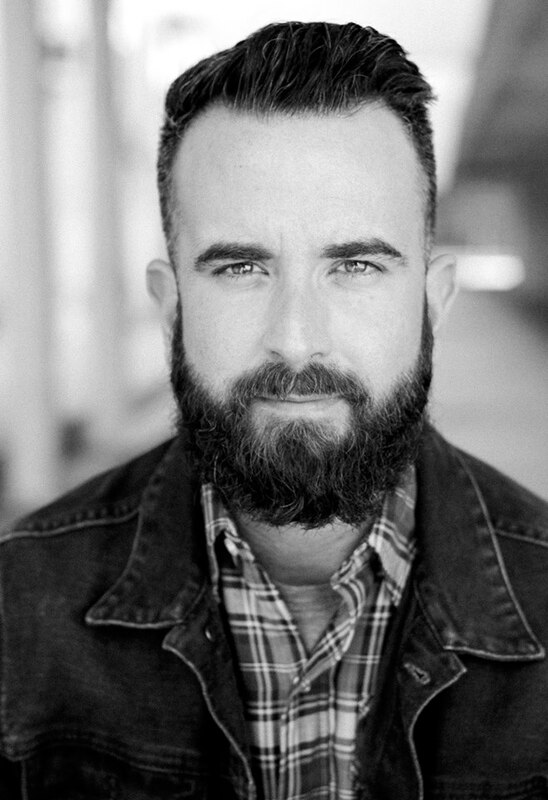 He's an actor/writer based out of Los Angeles, CA, and is a proud member of both SAG-AFTRA and AGVA. 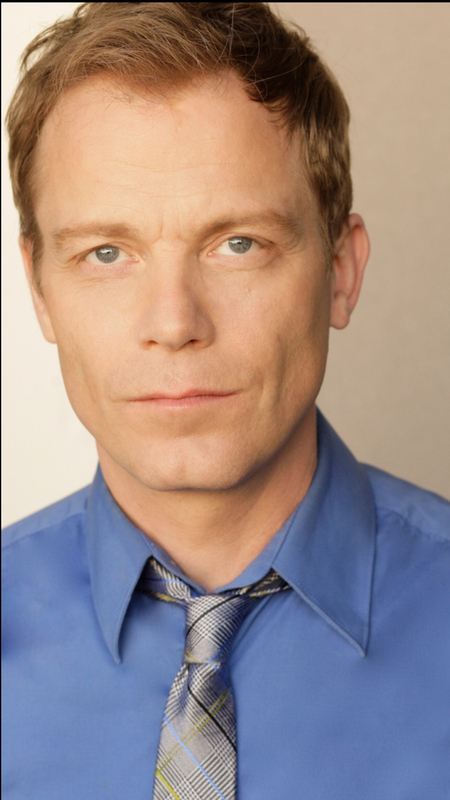 He's also appeared in television shows such as HBO's DEADWOOD, SHOwtime's HOUSE OF LIES, and Discovery Channel's DECONSTRUCTION series with host Steve Hanneman. Most console gaming fans, however, will recognize Steve's voice as the dastardly Bill Williamson in Rockstar* Games' RED DEAD REDEMPTION. Steve's BIGSTAR personal favorite: NOT ANOTHER NOT ANOTHER MOVIE (Burt Reynolds, Chevy Chase, Michael Madsen, Vinnie Jones). Stream "The Sun King" Free! !